When fisherman Ford Lofton's wife dies in a horseback riding accident, the devastated widower tells his daughters they can no longer ride. The younger of the two, Virginia, can't shake her passion for horses, and cares for a young foal named Stormy behind her father's back. 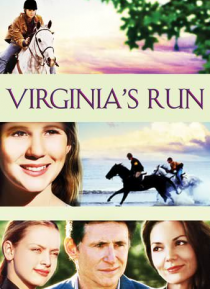 When Ford moves to sell Stormy, the girl enlists a friendly horse trainer named Jessie Eastwood to try to change Ford's mind … and let Virginia keep Stormy for her own.